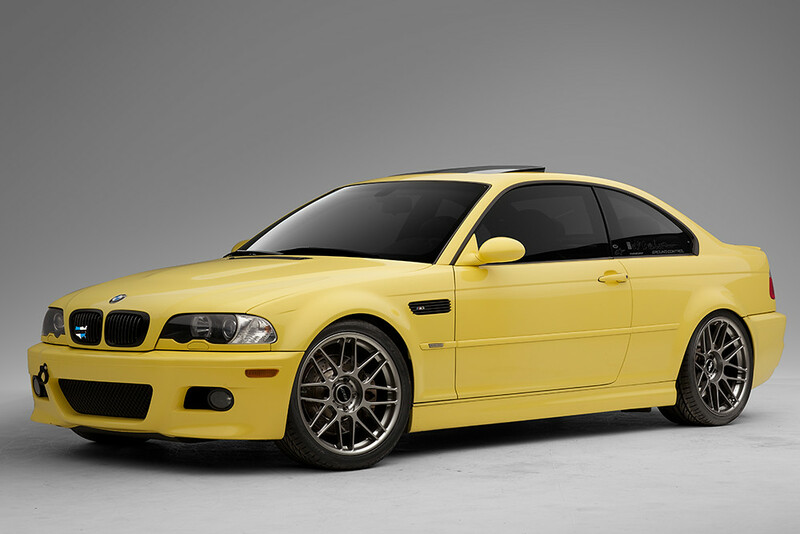 Long anticipated, and arriving in Q3 2014, the APEX ARC-8 wheel will finally be available in 19″ sizes for BMW. 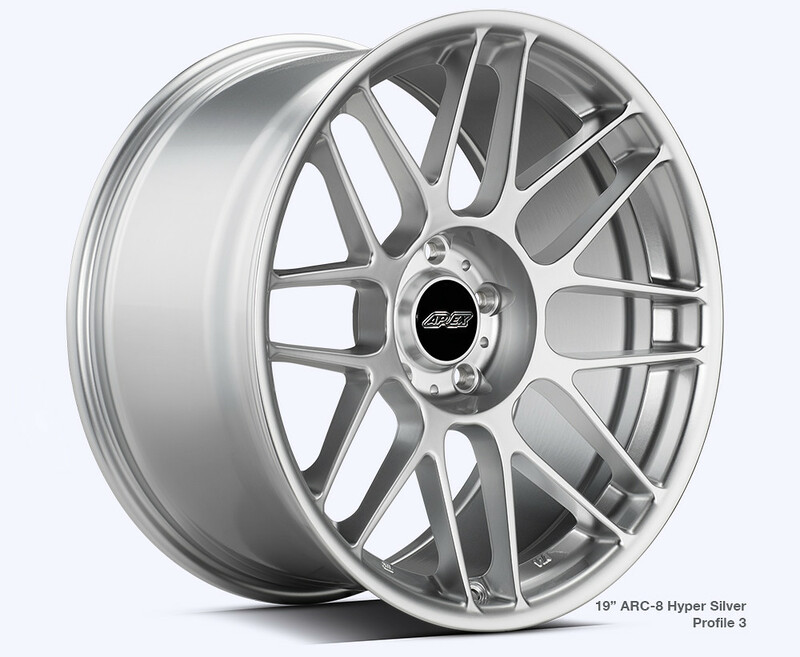 The ARC-8 design was first released back in 2009, and originally only available in race oriented fitments in a smaller 17″ and 18″ diameters. The straight spoke mesh design allowed for a strong and light-weight wheel that quickly became popular among racers and enthusiasts alike for it’s deep spoke concavity. The new 19″ diameter is part of APEX’s push towards supporting both the race and street crowd with specialized fitments. 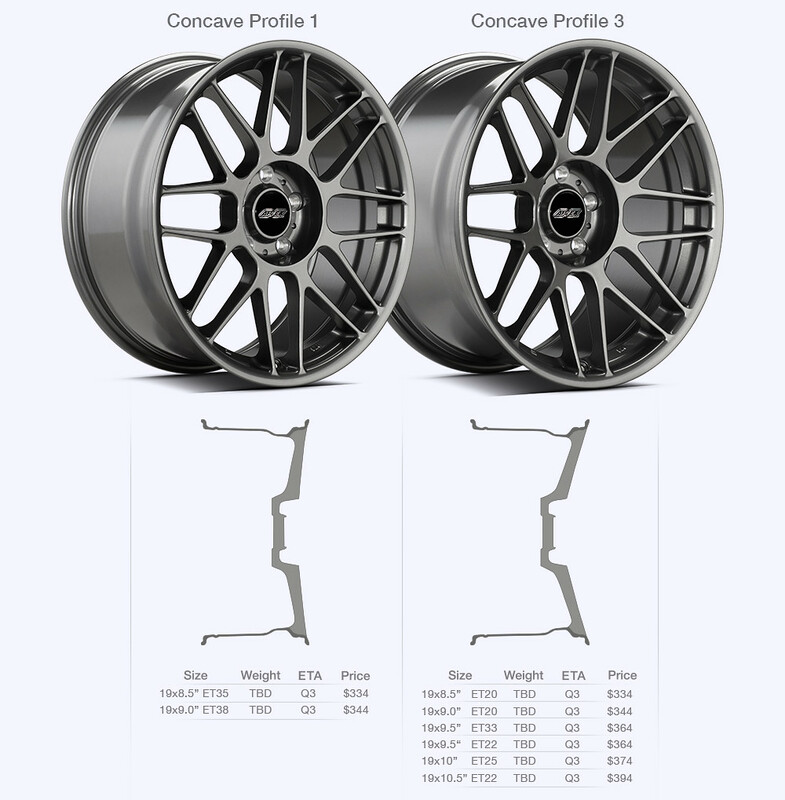 These larger diameter wheels are configured to cater more specifically to the aesthetic needs of the street going enthusiast, along with functional changes that better meet the needs of the street environment. Just like the rest of the APEX wheel line, the ARC-8 is once again produced using the Flow-Forming manufacturing process. Flow-Forming, which has also been called “Roll Forging” or “Spin Forging”, produces a barrel with similar strength to that of a fully forged wheel. This reduces weight in the most significant part of the wheel, as it has the greatest impact on rotational mass. 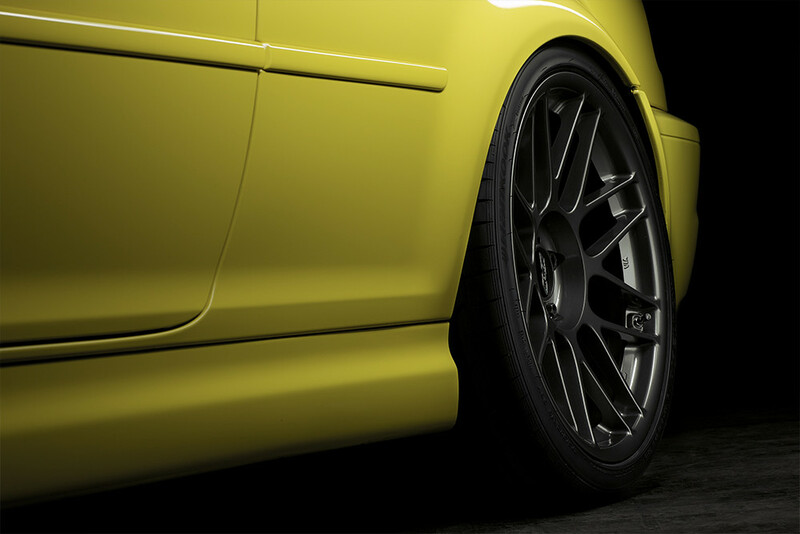 More aggressive wheel widths and offsets were selected versus our line of race-oriented wheels, allowing for a flush fit without spacers. Now available in 17″, 18″ and 19″ diameters, the ARC-8 is produced using two unique face profiles for each diameter with increasing spoke concavity. 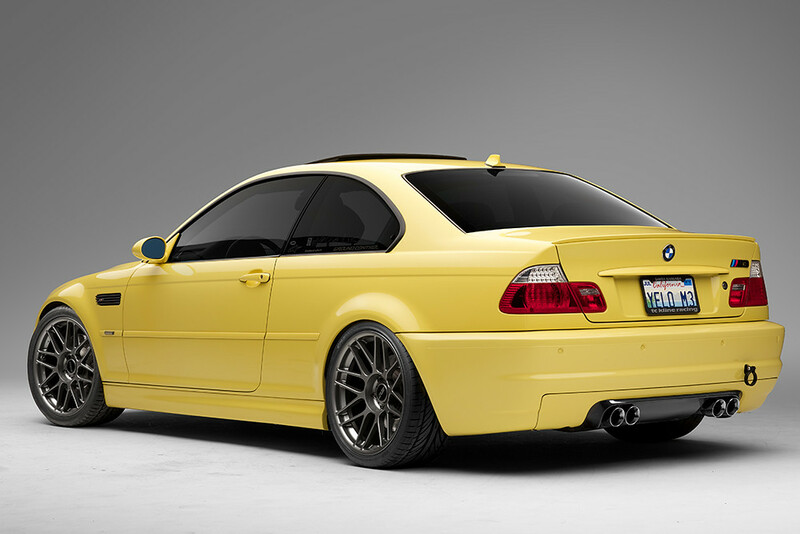 A total of 25 BMW specific sizes will be available once these 8 new 19″ sizes arrive. This new diameter will be available in 3 finishes: Hyper Silver, Anthracite, and Satin Black. Hyper Black will not be available upon initial release. Sizes, and pricing are listed in the graphic below. Weights will be updated upon receipt of final production samples. Strength improvements were made to help specifically address the unique abuses of the street where low-profile and stretched tire fitments are used. 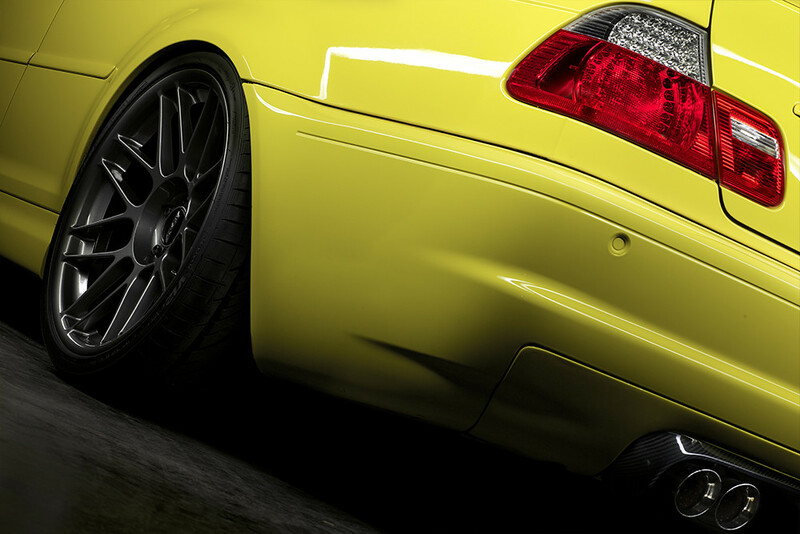 To help fight wheel bends, we’ve increased the thickness of the wheel’s inner lip. Load ratings exceed JWL requirements, and all sizes have been crush tested in Japan, earning them official VIA certification and registry marks. 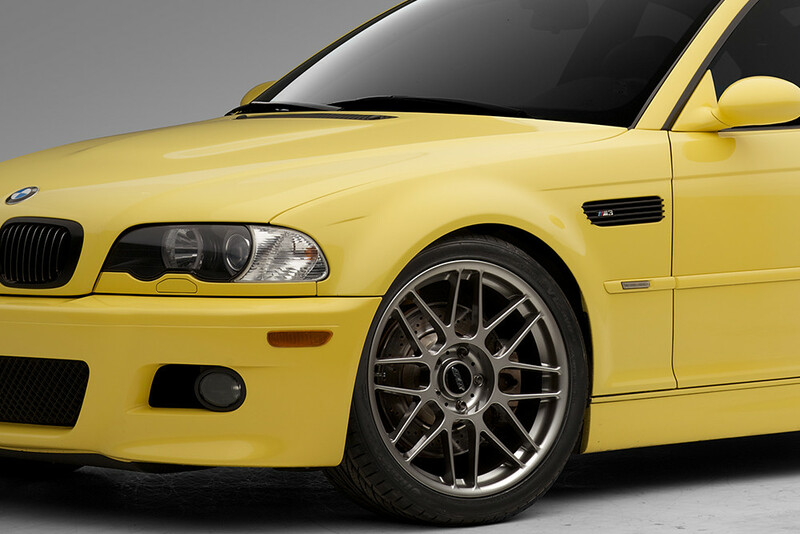 Additionally, the barrel’s diameter increases sharply after the drop center, improving big brake kit clearance. 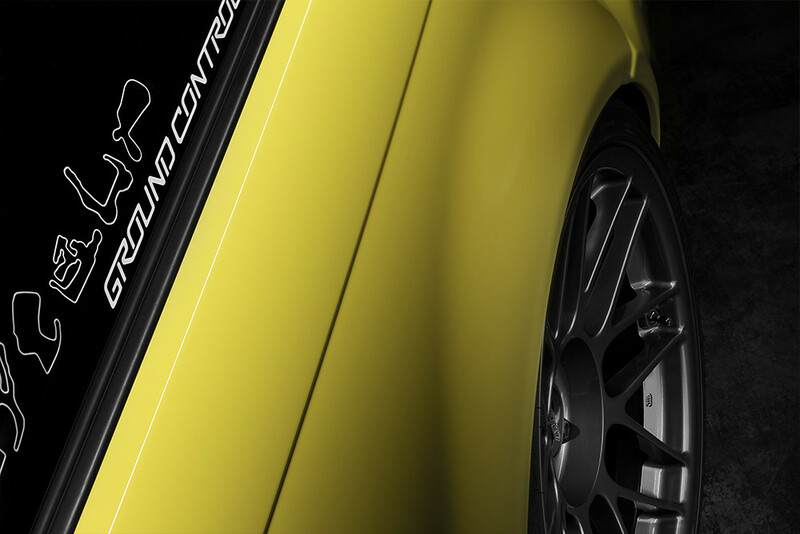 The ARC-8 also accepts OEM Roundel center caps, TPMS sensors, and comes with our newly redesigned gloss-black APEX center caps. For those that fell in love with the ARC-8′s looks and lightweight features but wanted something larger, your wheels are now here. Discounted pre-order details will be released soon. Follow us on Facebook or check back here for sign-up and participation details. All times are GMT. The time now is 02:20:23 PM.